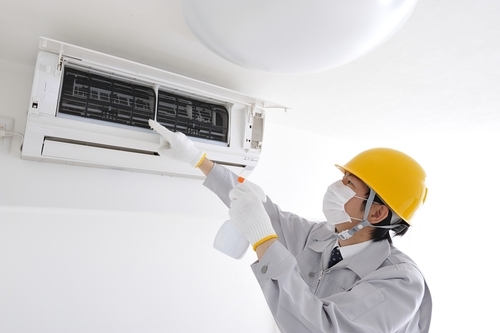 How To Remove Air Conditioner Odor? When you come to home from hot and humid environment then you wish to get comfort in your home with the help of cool air from your air conditioner. But sometime you get a bad odor from your air conditioner and instead of comfort you get a bad feeling with it. In this situation you wish to remove the bad odor from your air condoner as soon as possible, but most of the time you do how to remove air conditioner odor and you get no positive result with it. If you are also facing or dealing with the same problem then you can follow these tips to get rid of bad odor from your aid conditioner. Clean the drain pipe: Most of the time you get bad odor from your air conditioner because of fungus and bacterial growth in your drain pipe. The most annoying thing about this issue is that most of the time people never think that drain pipe can be the culprit of bad odor. So, it is suggested that you first check the drain pipe and if that the bad odor is coming from drain pipe, then clean it thoroughly. To clean the drain pipe, you can simply use a bleaching agent mix with water and you can flush the drain pipe with it. This simple process can help you get rid of bad odor from your air conditioner and you will be able to get the best result with it in easy manner. Get rid of smoke odor: If you or anyone else does smoking in your house then you can surely have a bad odor in your home because of that smoking habit. 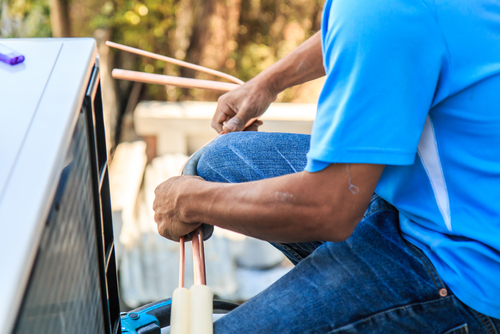 Ideally your air conditioner should take up to 10 minute to remove that bad odor from your room. So, it is advisable that if you are getting bad odor in your room because of smoking in your home or in that room, then instead of doing anything just allow your air conditioner to run for 10 minutes. In this time you should be able to have fresh smell again and if you do not get fresh smell but this time then consider it is some other problem that is giving bad odor to your air conditioner. In this case, you should try other methods of removing this smell form your air conditioner. Clean dead animal: Many times your air conditioner becomes the final resting place of many small animals. Eventually those animals start decaying inside your air conditioner and then you get a very bad odor from your AC because of those animals. To deal with this situation first you need to remove the front panel of your air conditioner and then you need to check if you have any dead animal inside your air conditioner. For checking this you can use a flash light and if you see any kind of dead animals inside your air conditioner then your need to remove that completely form your AC. When you remove the dead animals make sure your air conditioner is unplugs from power supply and you are a good quality rubber gloves for protection of any infection because of these dead animals. Clean vegetations: Just like animals you air conditioner can be the home for a number of small funguses, and other minute vegetations. Reason of this deposition could be anything but this kind of vegetation and moulds deposition can be the cause of bad odor from your air conditioner and you can get rid of that bad odor only by removing this small growth. In order to remove this growth and mould deposition you can simply use a good quality cleaning solution for removing of all the dust and dirt from it. When you will do it then you will not only make your air conditioner free from all kind of odor or bad smell but you will make it equally healthy as well. Also, it will help you get the best and most effective result also with this method in easy ways. Fix the gas leak: Sometime gas leaks from your air conditioner can also cause the bad odor and you can fix that situation only by fixing the gas leak. In order to fix that gas leak it is suggested that you call an experienced technician for same as you cannot fix it by yourself. Also, when you call the technician for fixing of gas leak, then make sure you ask him to top up the gas also, else you will not get proper cooling with it and it might give some other kind of bad odor to you. So, if you notice any bad odor in your air conditioner and you are not getting enough cooling also then you should directly call a technician for fixing the gas leak instead of looking for other reason and solution of the bad odor from your air conditioner. Get rid of dirt and dust: This might be the last thing that I am sharing you to get rid of bad odor from your air conditioner, but this is one of the most important things that you need to do for that. 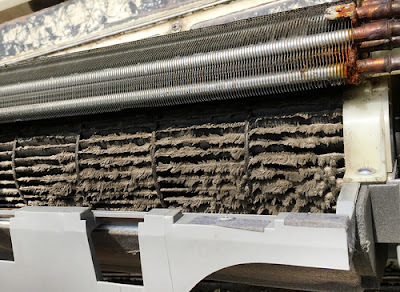 For removing dirt and dust from your air conditioner first you can change the air filter with a new one and then you can do the cleaning of you air conditioner with bleach or some other chemical solution. And when you will do this then you will get rid of bad odor from your air conditioner along with dust and dirt.